One of the most important things you can do when you’re thinking of selling your home is improve its “curb appeal” or its overall look. From big projects like repainting the whole exterior to small projects like adding more bark to your flowerbeds, a little extra attention can go a long way. 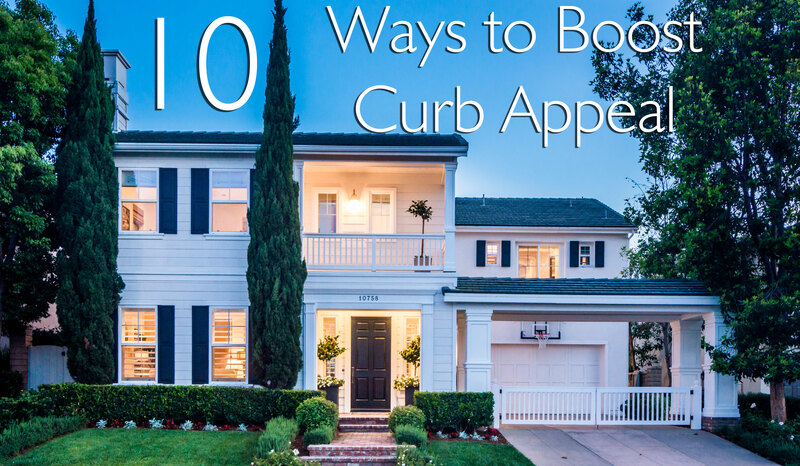 Here are ten easy things you can do to improve your home’s curb appeal. Add more bark, gravel, or rocks where it’s needed. If you’ve recently removed your lawn or are thinking of doing so, consider installing low maintenance landscaping. Even adding potted succulents around the front entry of the house can help give the yard a well tended feel. From old house numbers to a sticky front door handle, replacing the little things before buyers ever arrive at your home can help with your sale. Most buyers are looking to purchase a home that is “move-in ready” or one that won’t need any work right after purchase. Wash those windows inside and out for glass that sparkles. If a new front door isn’t in the cards, a fresh coat of paint on an existing door can make it feel like new. Keep walkways and driveways freshly swept and clear of debris. Change or fix any outdoor lights that don’t work well. If your home tends to look dark at night, consider adding some extra lights for a feeling of coziness and safety. Many potential buyers will come back and see your home after dark. Repair, replace, or repaint any fencing that needs it. If you have a mailbox on your property, replace it with a new one. Make sure your gutters and drain sprouts are clean and free of leaves and sticks. Purchase a new doormat or seasonal wreath to place outside the front door. It might not seem like much, but these little details make an impression on buyers. It creates the thought that the home has been well cared for before they ever step inside. Contact us for even more curb appeal ideas!